Twenty years? Gosh…do the young feel old all of a sudden. Yes friends, that little ol’ band from Seattle who helped usher in the ‘Grunge’ era of the early 1990s is getting ready to release an uber super-deluxe edition of their now classic gems, “Vs.” and “Vitology”, in celebration of the band’s 20th Anniversary. Both albums are available for pre-order via the band’s website and will be available in six different formats. Choose from deluxe remastered CD versions with bonus tracks, remastered vinyl editions or the special limited edition box set with a truck load of goodies, like remastered version of both albums on CD and vinyl LP, the double vinyl LP of their legendary 1994 Orpheum Theatre performance, a special ‘mix tape’ cassette, an 80-page hardbound book filled with exclusive photos and drawings, including a glassine envelope containing “Vs.” and “Vitology” era memorabilia, such as photos, lithographs, postcards and more. The collection is scheduled to hit streets on March 29th, which will have many a Pearl Jam fan (including myself) salivating in the meantime. Pre-orders for the collection will entitle you to an additional download of six tracks from the Orpheum Theatre show that will not be included on the physical release. Record Store Day fans can also look for exclusive releases of these monumental LPs on RSD, April 12th, just in time to blow that income tax refund check with your favorite local record store. 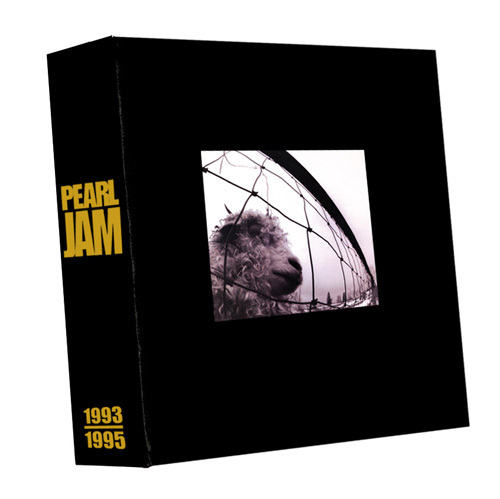 The limited edition box set will only be available through Pearl Jam’s website. For a breakdown of each release and available formats, as well as a link to pre-order your copy, visit Pearl Jam’s website for details. LP Review: ‘Luke Cage Season 2’ Soundtrack! Neil Young Continues “Archive Performance Series” With ‘Cellar Door’ Recordings!!! This entry was posted on Wednesday, February 2nd, 2011 at 5:19 pm	and is filed under Music. You can follow any responses to this entry through the RSS 2.0 feed. You can skip to the end and leave a response. Pinging is currently not allowed. « See the Teaser For Jonathon Kimbrell’s Upcoming Art Exhibit. “We Are Modern”!! !